Statewide staffing shortages at state prisons are being felt locally as correctional officers from Hidalgo County are being required to temporarily staff a maximum-security prison 200 miles away. Correctional officers at the Manuel A. Segovia Unit, a minimum-security prison in Edinburg, met with state Sens. Juan “Chuy” Hinojosa, D-McAllen, and Eddie Lucio Jr., D-Brownsville, on Sept. 6 to discuss concerns over the Texas Department of Criminal Justice mandating that officers spend one of their monthly work cycles at the John B. Connally Unit in Kenedy County. Correctional officers from the Reynaldo V. Lopez State Jail, also in Edinburg, have subsequently raised similar concerns. Arminda Garza, the Republican candidate for Precinct 3, Place 2 Justice of the Peace on November’s ballot, organized the meeting after an officer from the Segovia unit approached her with concerns over the mandate. More than 20 officers attended the meeting, according to a memo written by Hinojosa’s chief of staff sent to TDCJ Executive Director Bryan Collier. Officers were first given the option of volunteering to work overtime shifts at the Connally unit, but it became mandatory Sept. 7, the memo states. Another concern raised in the memo is that officers were not provided training to transition between staffing low-level security jails and prisons to the highest-level facility, and Garza said officers have faced retaliation from their supervisors for speaking out against the policy. According to a Sept. 10 letter Collier sent to Hinojosa and Lucio, 32 percent of correctional officer positions at the Connally unit are unfilled. The letter, however, did not specify whether staff were being asked to volunteer or ordered to work at the Connally unit. If a TDCJ facility is experiencing a staffing shortfall, the agency will first offer correctional officers at that facility the opportunity to volunteer to work overtime shifts, Desel said. If the shortage continues, officers from nearby facilities will be assigned shifts there on a day-by-day basis. If the need persists, “the agency will use officers from all over the state,” with volunteers being used first and if that is insufficient, officers will be required to work a full shift rotation there. Both SOPs noted that, “Consideration for mandatory reassignment maybe (sic) given on individual circumstances.” No dates were provided as to when the mandatory work cycles could begin. Officers from the William G. McConnell, Ernestine Glossbrenner, the Garza East and Garza West Transfer Facilities, Ruben M. Torres and Clarence N. Stevenson units are also being asked to volunteer at the Connally Unit, according to Desel. All of these units are located in TDCJ’s Region IV, which covers all of South Texas. 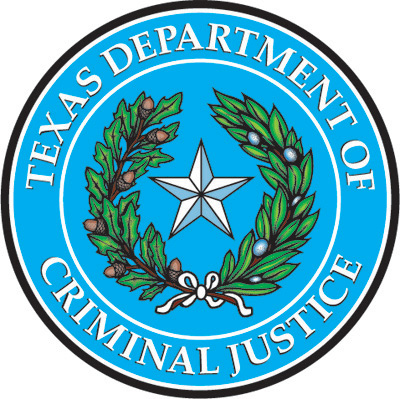 TDCJ’s Legislative Appropriations Request (LAR) for 2020-2021 asks for salary increases for parole and correctional officers such that the maximum correctional officers’ annual salary would go from $43,049 to $47,041 and from $44,661 to $49,127 for parole officers. Hinojosa said Thursday he understands the staffing issue TDCJ faces and will advocate for allocating funding during the upcoming legislative session to increasing employees’ salaries. The story has been updated to reflect the full version of the article.